Hi all, there is a way to put stl file in cura to have on screen object inside printer? i use it to better understand orientation. 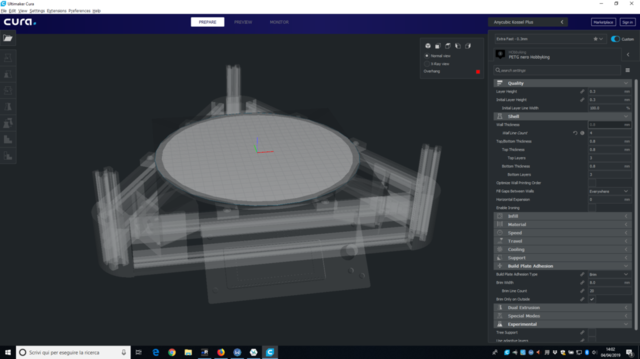 I mean, in the interface I wanna have not a simple round plate (I have a delta printer) but I wanna import an stl of my printer to have an eye of printed part inside. This is useful for better understand position of objects from my eye, to better rotate It and see difficult printed part better. This is only possible with printer definitions, like the ones listed when you Add a printer to Cura. In that case I did not understand your question. I though you did not have a buildplate model at all.